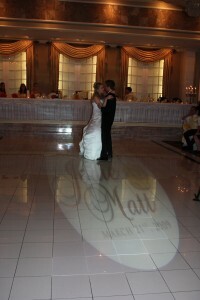 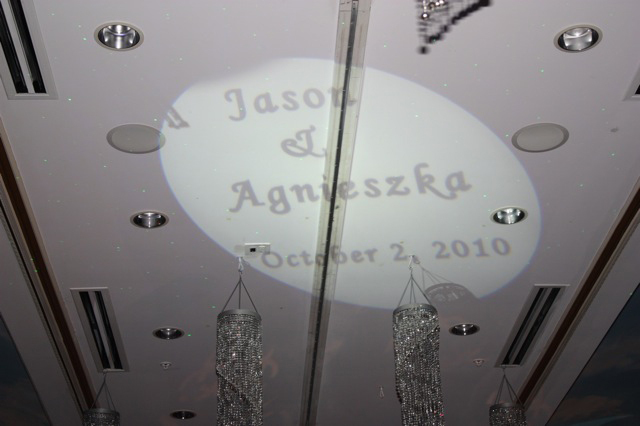 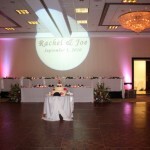 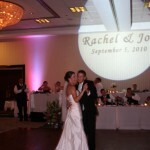 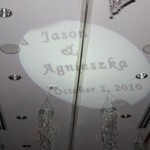 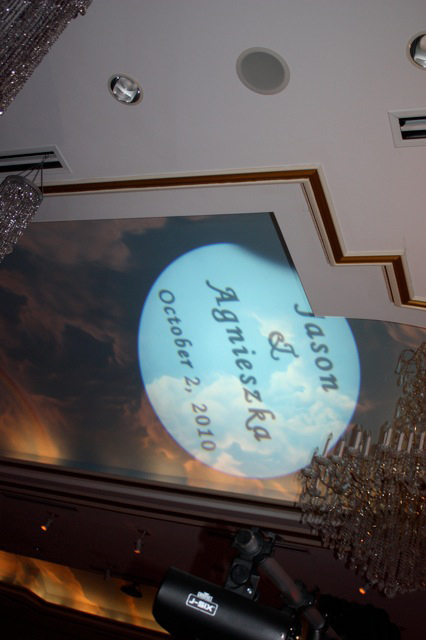 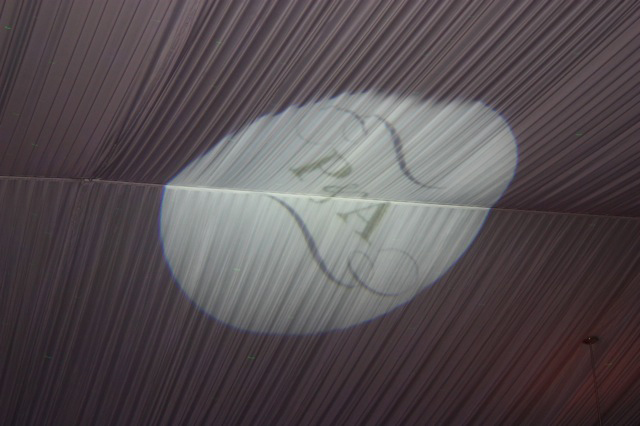 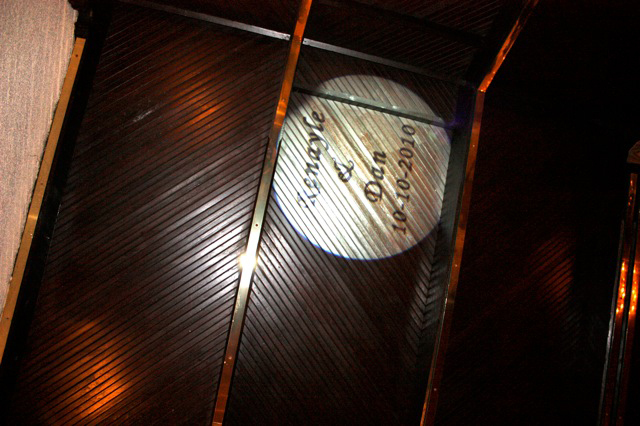 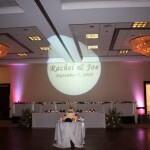 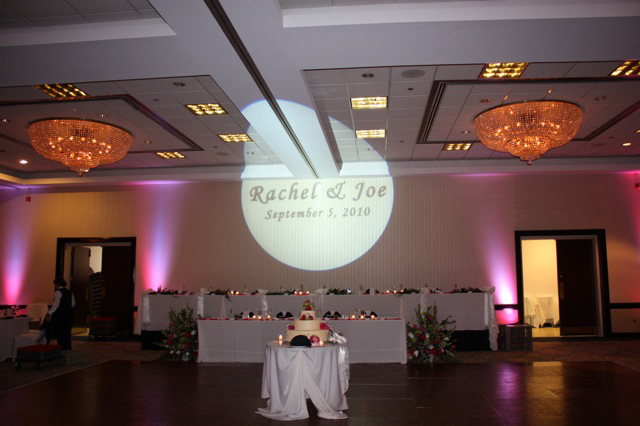 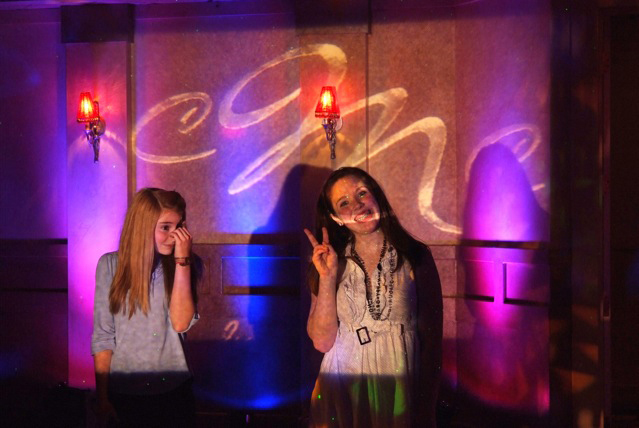 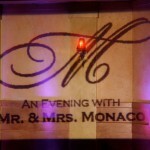 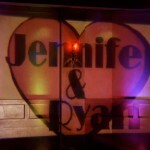 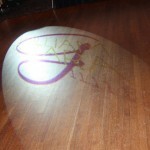 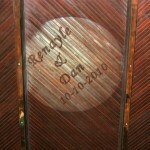 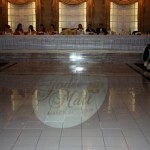 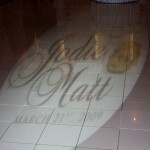 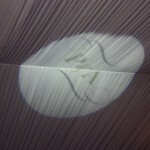 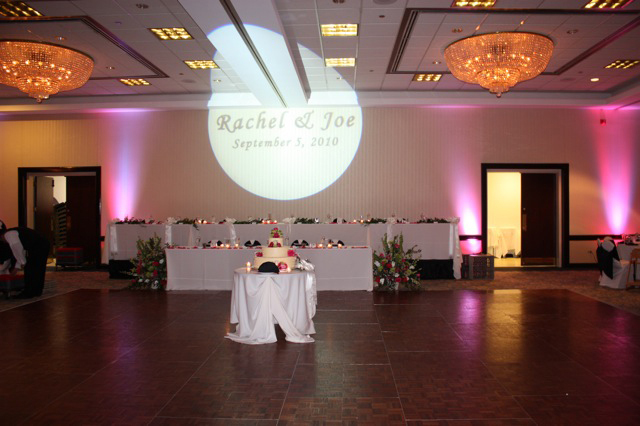 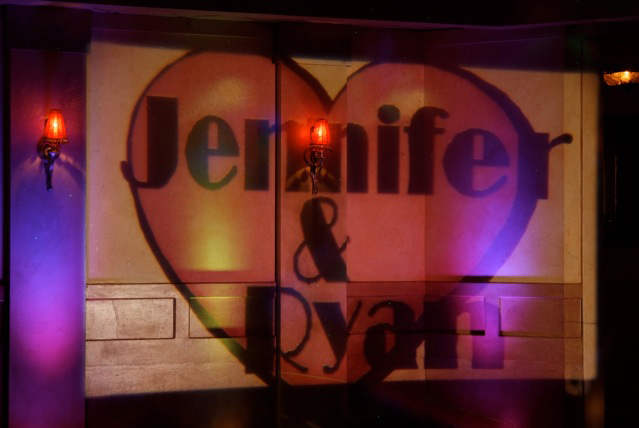 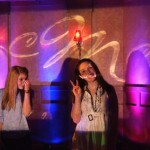 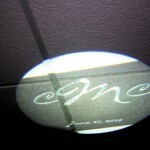 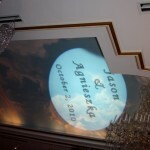 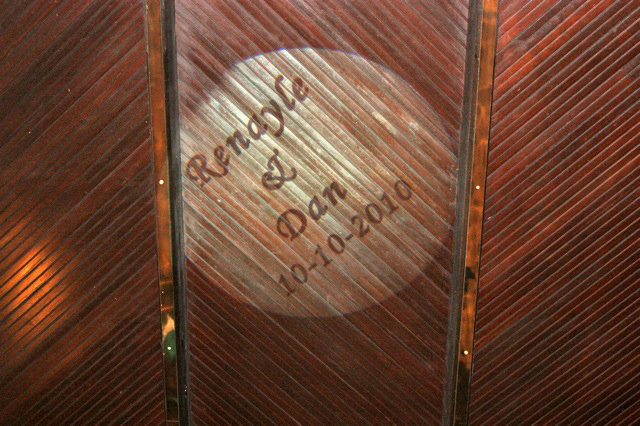 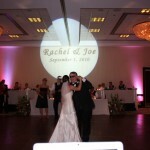 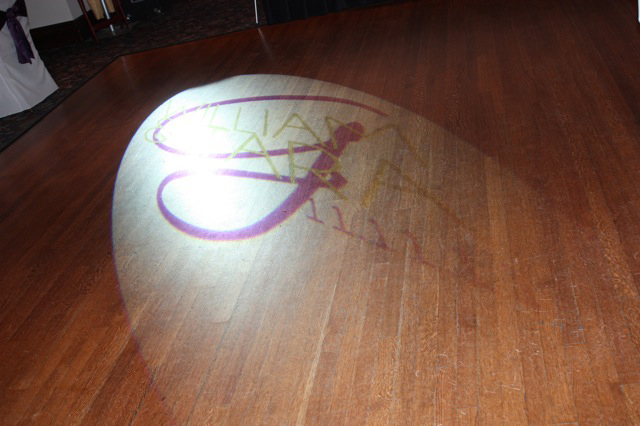 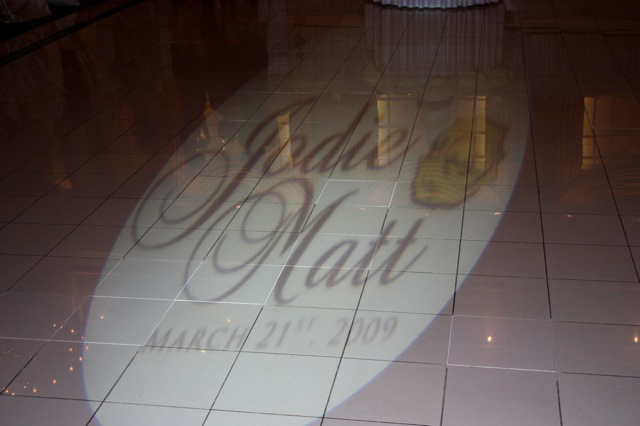 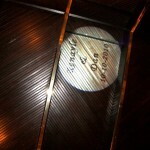 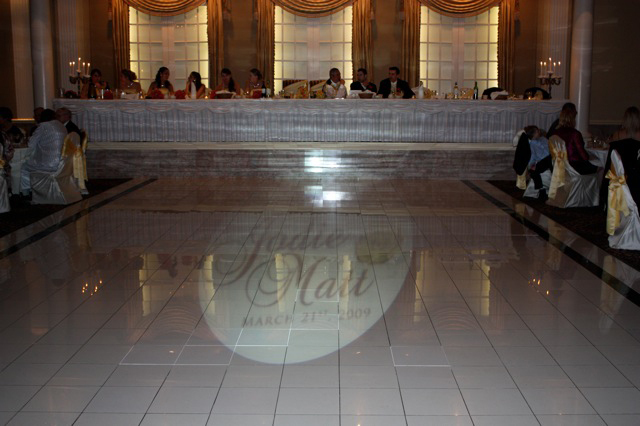 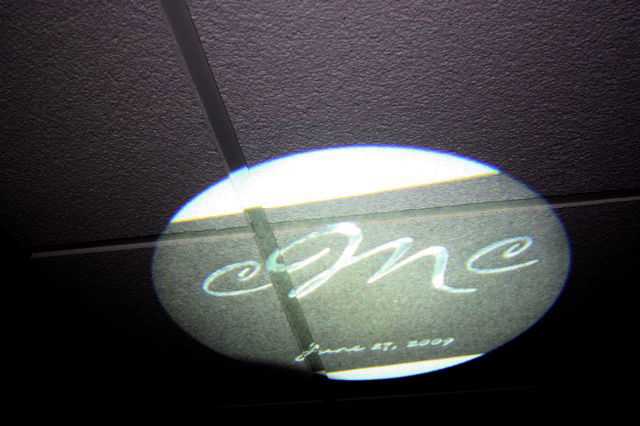 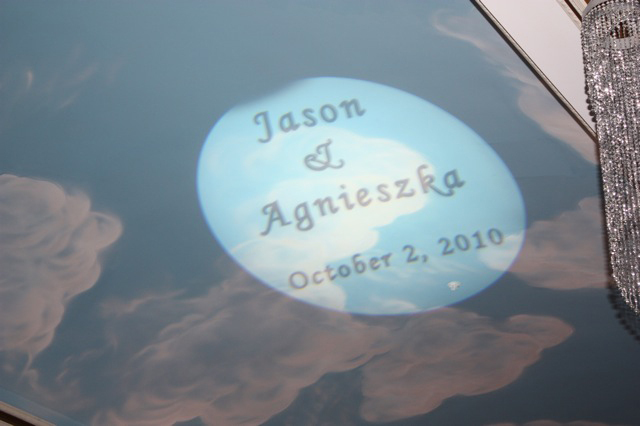 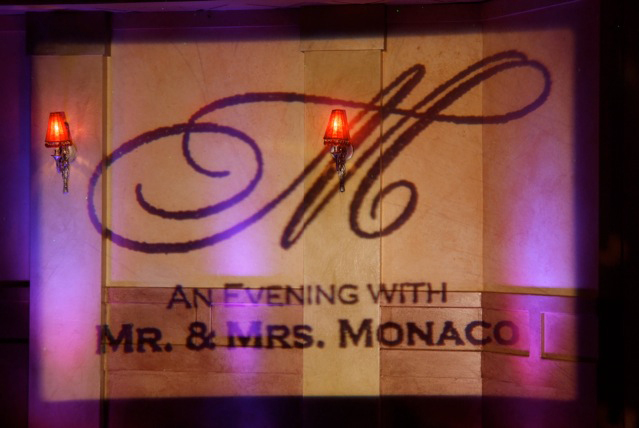 Have your names or image projected in the banquet facility. 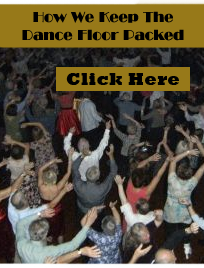 You can choose the image to be in color or black and white. 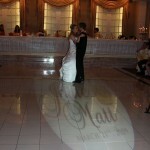 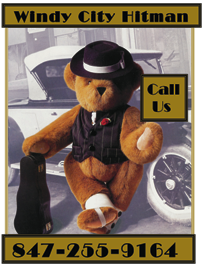 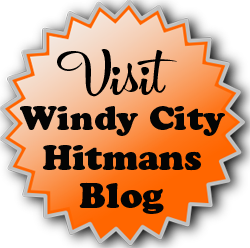 Either have us create an image for you or you can supply the image ( written or a photo) yourself to match your theme. 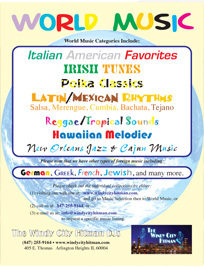 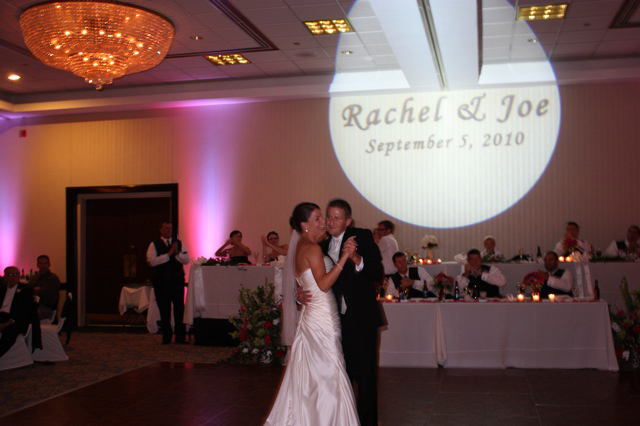 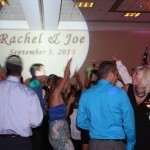 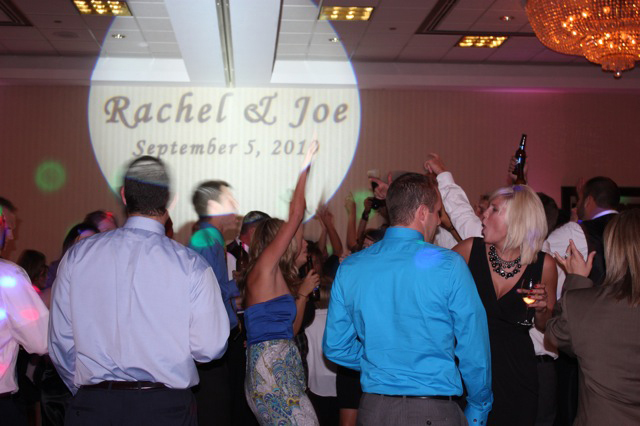 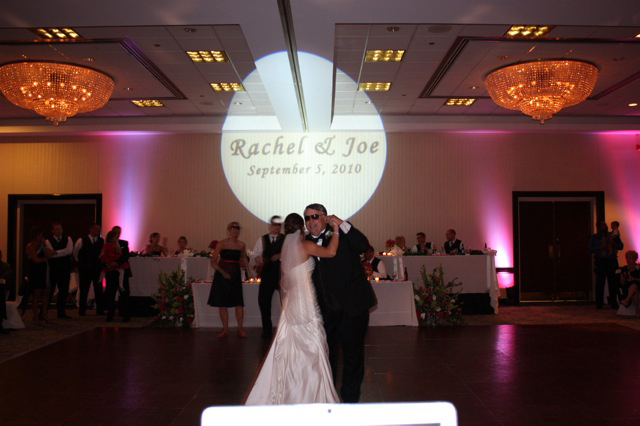 It can be projected in one location such as on the center of the dance floor, on the ceiling over the center of the dance floor or centered high on the wall over the head table or it can be moving in up to 16 different locations, slowly moving throughout your event high on the walls and ceiling. 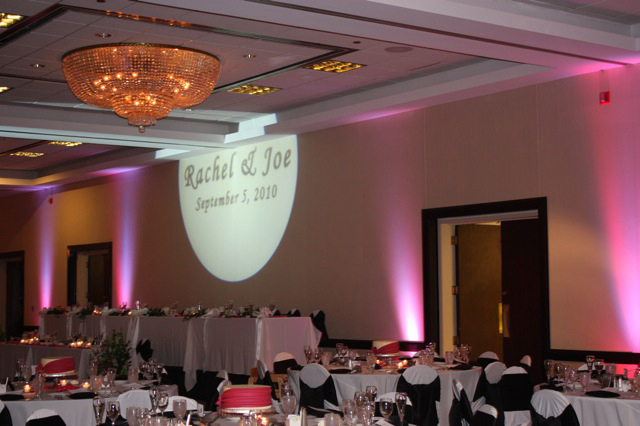 We can even change the image throughout the evening, once during cocktails, dinner and dance times. 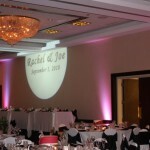 An added touch your guests will be talking about.